Condensates purge: Eliminates condensation, ensuring an ideal humidity level in the environment. Possibility of removal by means of water tank (with alarm of full deposit) and continuous drainage pipe. 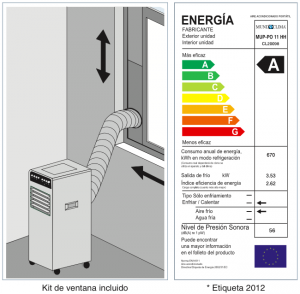 Fan function: It allows operation with only ventilation. Rotatory compressor: Optimizes performance. Low consumption. Thermostat: Automatically keeps the selected temperature. Hot air discharge tube: Easy and quick to install, it allows the use of the air conditioner immediately: it is enough to connect it by folding the rear cover. 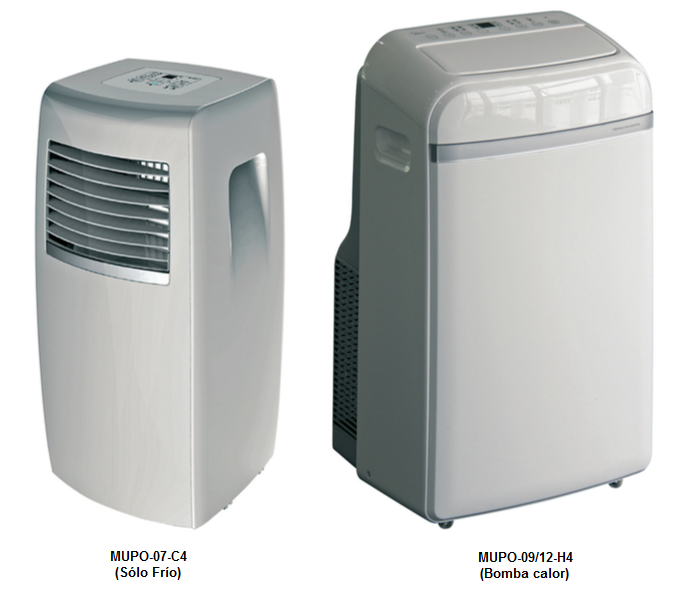 Dehumidification: Moisture reduction restoring an optimum temperature in wet areas.